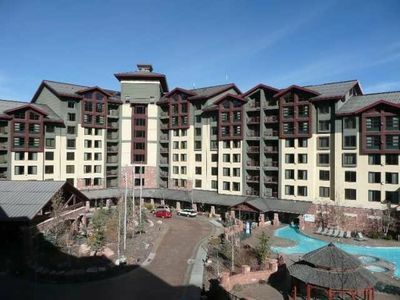 This 7,000+ sq. 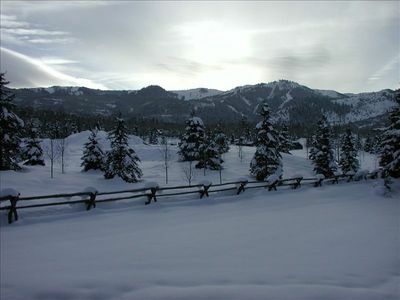 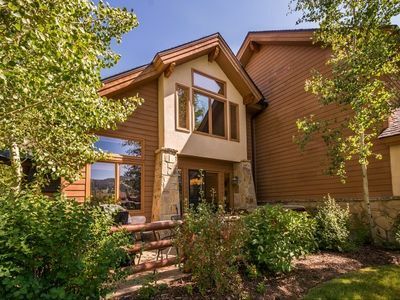 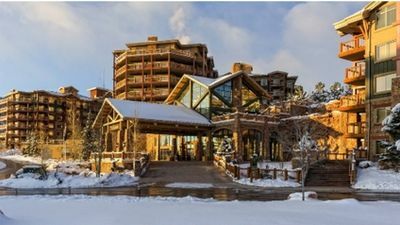 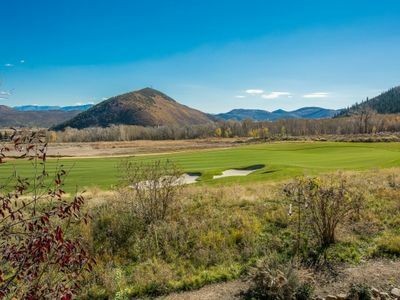 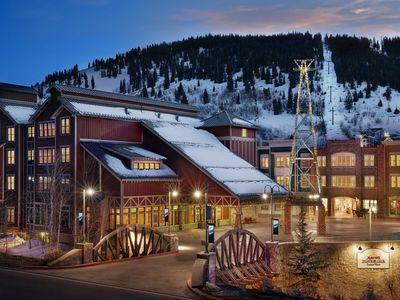 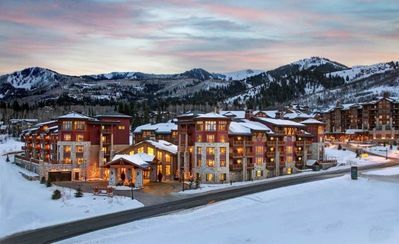 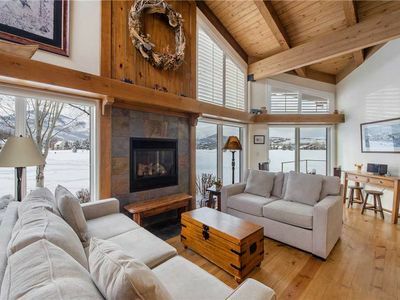 ft. mountain home is perfect for large families or groups seeking the ultimate Park City experience. 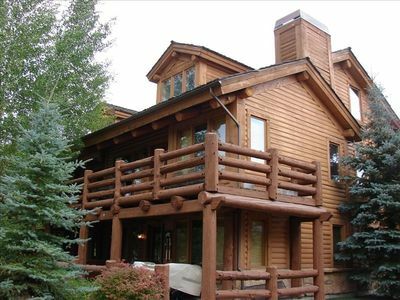 7 bedrooms and 9 bathrooms, sleeps 20. 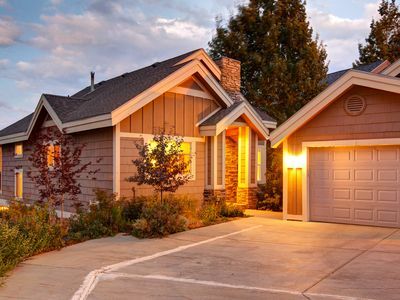 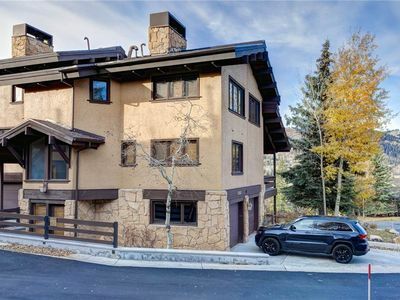 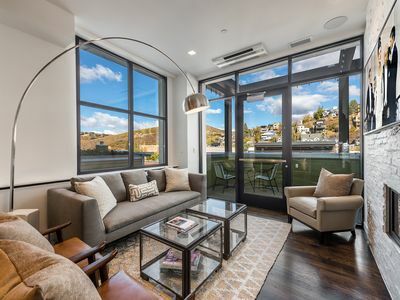 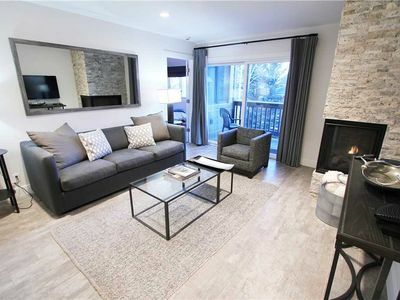 Located in a residential neighborhood of American Flag, the home is perfectly located for anything you may want to explore during your stay in Park City. 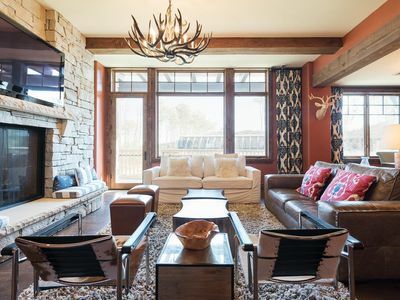 After your day of recreation, you can return to all the comforts of home. 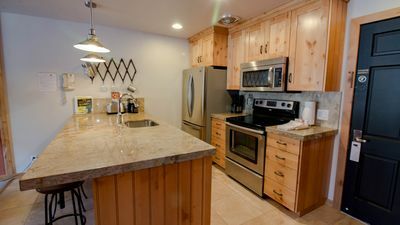 This home has spectacular views along with High-speed Wi Fi throughout, a media playroom with TV and video game system, pool table, ping pong table, pin ball machine and more. 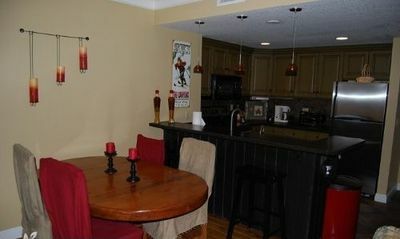 Or, you can relax in the private indoor Jacuzzi room secluded just off the kitchen. 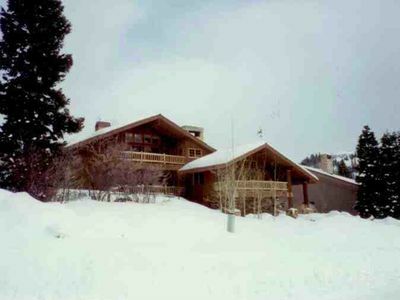 The main level of the house includes: 4 bedrooms each with a full bath, living room with fireplace, spacious kitchen, dining room, tv room with fireplace, and the Jacuzzi room. 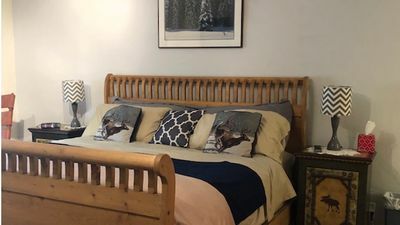 The lower level has: 1 large bedroom with private bathroom and a pull out sofa, a media playroom with 2 pull out sofas, 1 full bathroom, a laundry room and a ski room for drying boots and getting gear ready for the next day. 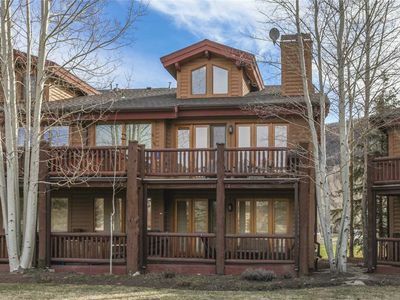 The upper level has the master suite, with an office/sitting room within the large bedroom, fireplace and view of mountains. 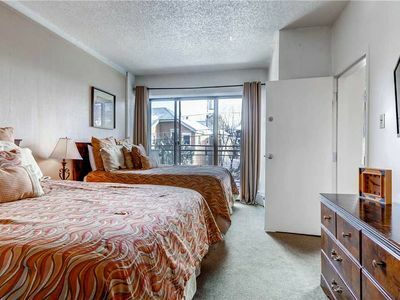 On the same level is another large bedroom with a sofa and walk in closet, and full bathroom. 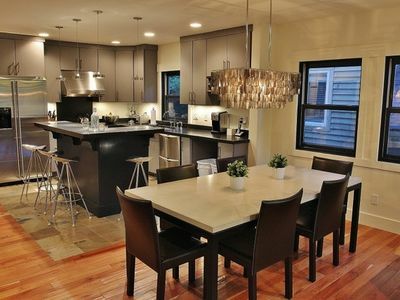 Short distance to Main Street, where you will find many restaurants and night life, and last but not least tons of great shopping.